Dog genetic tests, like the Canine Health Check and the Wisdom Panel DNA Test, analyze your dog's DNA to determine if they carry any genetic mutations associated with common canine health issues. These tests are very simple to take for you and your dog(s). Further, the price has come down considerably, usually only costing around $100, give or take $20. In many cases, if you know in advance that your dog carries one or more of these genetic mutations, you can prevent serious problems completely and or ameliorate the health problems as they express themselves over the lifetime of your dog(s). To get the dog genetic testing started, you simply order the kit online and it is sent to you in the mail. Inside the kit, there are specific instructions telling you how to swab the inner cheek of your dog to collect a DNA sample in a way that you will not contaminate the sample. You then place the samples (they usually ask for two) in the tubes provided with a special solution to preserve the DNA and ensure it does not degrade before they have a chance to analyze it. Your dog's sample is specially coded and you use this code to register the kit online and create an acco﻿﻿unt﻿﻿. You then send the sample back to the company in the envelope provided and the results are reported to you in your online account about two weeks later. Below, you will find detailed information about the MDR1 mutation that affect the health of a significant percentage of dogs. However, keep in mind that these genetic tests actually test for many mutations at once. The full report you get when you order a canine genetic test will cover well over one-hundred mutations. If it turns out your dog has the MDR-1 mutation, knowing this can literally save his or her life! MDR is an acronym that stands for "multidrug resistance gene." Dogs that carry the MDR1 mutation are genetically predisposed for having very bad reactions to multiple drugs that veterinarians commonly administer. With the MDR1 mutation, dogs may not be able to flush out a drug quickly because this gene codes for a protein called P-glycoprotein that helps flush out toxins in the dog's body. Specifically, it keeps these toxins from building up in the brain. The MDR1 mutation either blocks the production of this protein or causes it to be deformed to the point it doesn't function properly. Without P-glycoprotein to flush out the drugs, more of the drug will be absorbed than is normal or expected at a particular dosage. If these drugs build up in a dog's brain to toxic levels, they can cause significant neurological damage. Common symptoms include tremors, disorientation, seizures, and ataxia (loss of control over bodily functions). The unintended buildup of these drugs can result in blindness and even death! What drugs are dangerous if your dog has the MDRI mutation? Other drugs that may cause issues in the presence of the MDR1 mutation include: Domperidone, Etoposide, Mitoxantrone, Morphine, Ondansetron, Paclitaxel, Quinidine, and Rifampicin. Keep in mind too that new drugs are being developed and tested all the time. If you determine with a dog genetic test that your dog has a MDR1 mutation, be sure to AlWAYS remind your veterinarian of this fact before he or she administers ANY type of drug. You may also want to stress your concern so they looking into the possibility of this reaction with similar drugs. In fact, you may want to do so before each and every visit because veterinarians often start administering a drug without you even know it is happening! Likewise, if you give your consent for any type of surgery, even a relatively minor surgery, be sure the surgeon knows your dog has this mutation, understanding that the surgeon may be different than your normal veterinarian, perhaps another partner in the same veterinarian clinic. Most mutations occur on genes that are either dominant or recessive. If a gene mutation is dominant, a dog will only need one copy of that mutation, from only one parent, to fully express that trait. On the other hand, if a gene mutation is recessive, then two copies of the mutation, one from each parent, is required to express that trait. However, the MDR1 mutation is unusual in that it is what's called, "incompletely dominant." This means that if a dog has one copy of the MDR1 mutation, it will be partially expressed. If, on the other hand, a dog has two copies of the MDR1 mutations, it will be fully expressed. From a practical perspective, if your dog has just one copy of the MDR1 mutation, you should still be very careful and ask your your veterinarian not to use certain drugs. Even with partial expression, the P-glycoproteins produced may be damaged to the point that certain drugs can cause a major problem, especially if administered in medium to heavy dosages. It's almost never worth the risk to knowingly use certain drugs on a dog with a single copy of the MDR1 mutation. Furthermore, if your dog has two copies of this mutation, it will be even more dangerous for your dog to receive certain drugs. Even a small amount of certain drugs could kill your dog. Either way, you should insist that alternative drugs be used that do not negatively affect dogs with the MDR1 mutation. You should know too that alternative drugs have been developed because this mutation is so common. While the MDR1 mutation is not found in the majority of dogs, it is found in a significant number of them. 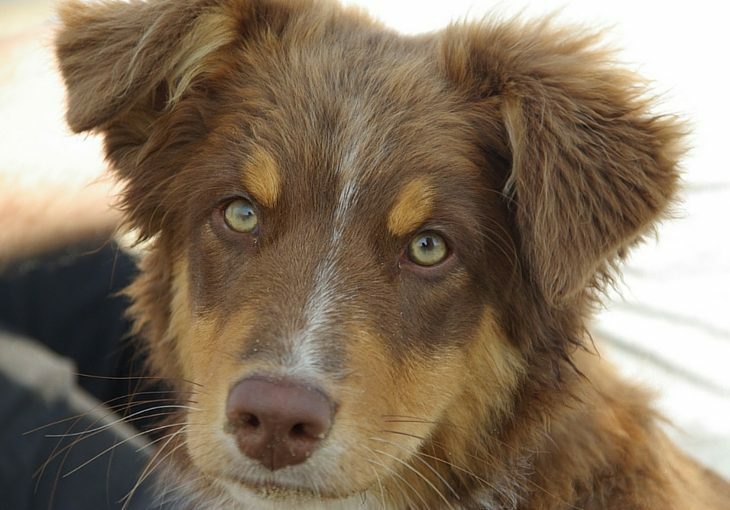 For example, Wisdom Panel reports that seventy percent of all collies (except border collies) and fifty percent of Australian Shepherds have this mutation! It's also found in ten percent of all German Shepherds and fifteen percent of all Shetland Sheepdogs. Perhaps the most important information you can have if you have adopted a mixed breed dog is that five percent of all mixed breed dogs carry the MDR1 mutation! This means that five mixed breed dogs out of every one-hundred of them will carry at least one copy of this mutation. The MDR1 mutation is only one of more than one-hundred fifty health related mutations that dog genetic tests already analyze for and report on. Two of the most popular consumer-end canine genetic tests include Canine Health Check and the Wisdom Panel DNA Test. It is very likely that these tests, or modified versions of them, will screen for even more genetic mutations in the near future so stay tuned!